I mentioned in a previous post that I loved dumplings and dim sum. So I decided I would do a little guide to dim sum for people who have never been before. Now I don’t claim to be an expert but I’ve picked up some of whats going on, on the occasions I’ve been so I thought I would pass it on – and hopefully encourage some people who have never tried it, to give it a go! So how does it all work? First you find a dim sum restaurant. In Norwich there is a restaurant called the Baby Buddha Teahouse – I’ve been there several times now and I’ve always really enjoyed it. I am still on the hunt for Dim Sum in Chatham, there’s a small place called GMT (Grandma’s Thai) which I went to quite a while ago – and from what I remember was really good! But last time I went past it was shut due to staffing issues. Watch that space though because last time I went I thought it was great and it is also run by the owners of the Limehouse Thai a few doors down which is amazing. This place has been around for years. Josh’s parents used to go there together when they were dating and in turn me and Josh have started going there too. 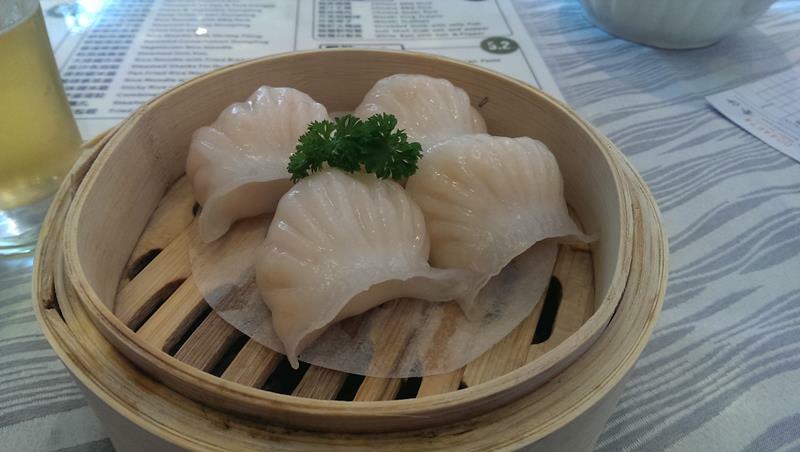 We’ve only been here for dim sum once as that is only part of their menu and is served over lunch until 5pm. If you’re going in the evening you get to enjoy their main menu instead – Josh says the lemon chicken is the best dish on the menu. As for dim sum, they were fantastic – I’ll get to what to order in a few minutes! 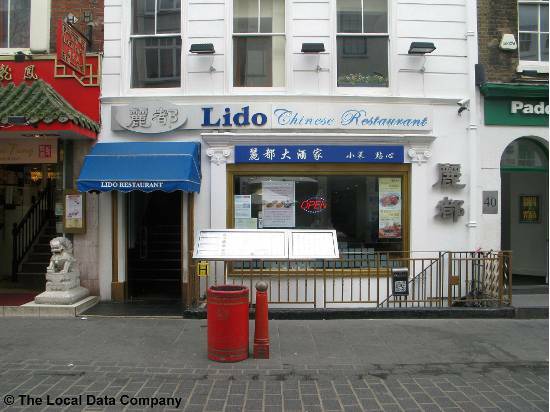 This is another place we like to go to and can be found on the corner of china town. This place is still really really good but has more of a laid back atmosphere so it really depends what you prefer! Bare in mind though that lots of places add on a service charge to your bill without asking so make sure you bare this in mind and read the small print. If you on a budget there are other ways to enjoy some of china towns famous dishes for less – more on that later! When you get in and sat down, you’ll either be presented with a dim sum menu and someone will come and take your order or you’ll be given a piece of paper with all the items and a pencil – then you can write how many of each dishes you would like. If you don’t want something you can just leave it blank. Don’t expect all your dishes to arrive at once – they are cooked from fresh and arrive a couple at a time, you can start on what you have while you wait for the rest. The dishes themselves are quite small and consist of two or three of what it is that you order, for example if you order chicken gyoza you’ll get three dumplings. You could compare it to spanish tapas or japanese sushi. Don’t be fooled they can still be quite filling and if you are ordering rice or noodles to share as well you probably only want two or three other dishes each. When me and Josh go for example we usually share a rice and then pick two other dishes each and then put everything in the middle and share – that way you get to taste lots of different things! Next I’m going to go through some of my favourite dishes to order and what they are. I won’t include anything too different because if you haven’t been before you probably want to play it safe-ish even if you do want to try some new things – even I haven’t tried chicken claws yet! Char Siu is a tasty bbq pork and bao is bun so what you’re getting here is a steamed bun filled with bbq pork (or chicken but the pork is amazing!). You’ll usually get three in a steam basket like this so me and Josh are always fighting over the last one – in fact Josh would give these a big thumbs up! Vietnamese come in two types. 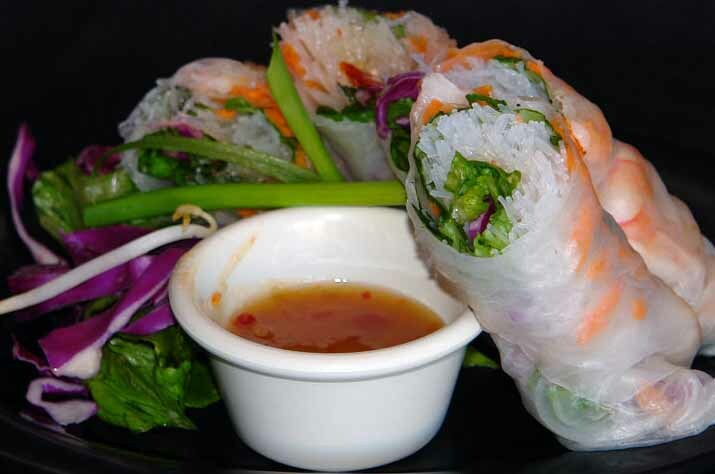 Number 1 is fried and Number 2 is not (also known as a fresh spring roll as it is light and refreshing). Both are filled with veggies, glass noodles and sometimes prawns sometimes minced pork. With this one you need to keep an open mind as they tend to be different where-ever you go – but always delicious. This is one of my favourites and is served with a chilli oil to dip it in to. You can find a really nice recipe here on how to make your own too! Spring rolls including duck and vegetable flavours can also be found on most menu’s and these are always pretty ‘safe’ options for those who aren’t feeling too adventurous. Cheung Fun is a weird one to explain and it tastes much better than it looks I promise. 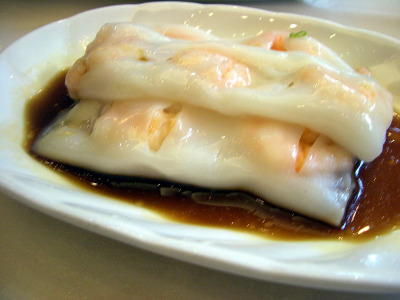 This dish is made up of a big rice noodle filled with your chosen filling with soy dressing. It can be found with beef, prawn, bbq pork and even fried dough as a filling. It’s definitely worth giving this one a shot – it’s delicious but just ask for a fork – it’s far less embarrassing than trying to eat this slippery sucker with chop sticks! There are so many different types of dumplings – this changes from place to place and my only real piece of advice is choose ones with flavours that you like and be pleasantly surprised. They come in several types; grilled, crispy (fried or baked) and steamed being the most common and in lots of different shapes. Gyoza are usually half-moon shaped dumplings with crimped edges slightly fried on the bottom and then steamed – sometimes they are baked. These are also known as ‘pot stickers’ and come in flavours like duck (with yummy plum sauce) and chicken. Wontons can also be found on most menus and these are often crispy little wrapped up parcels – also one to give a try. Otherwise dumplings really are literally anything from glutinous rice balls to sweet dumplings filled with red bean paste. You want to try chinese food in china town and you’re on a budget? 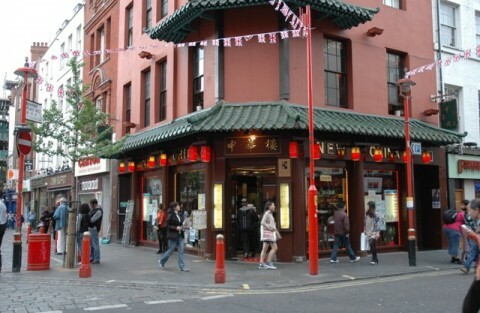 There are lots of small shops and bakeries in chinatown – it seems like every other shop when you’re there! Quite a few of them have steam cabinets right near the front door where you can find giant char siu bao. I recommend these because they are delicious and one will set you back £2-ish. It’s great if you just want a snack rather than a meal or if you’re on a tight budget but really want to experience the food there. 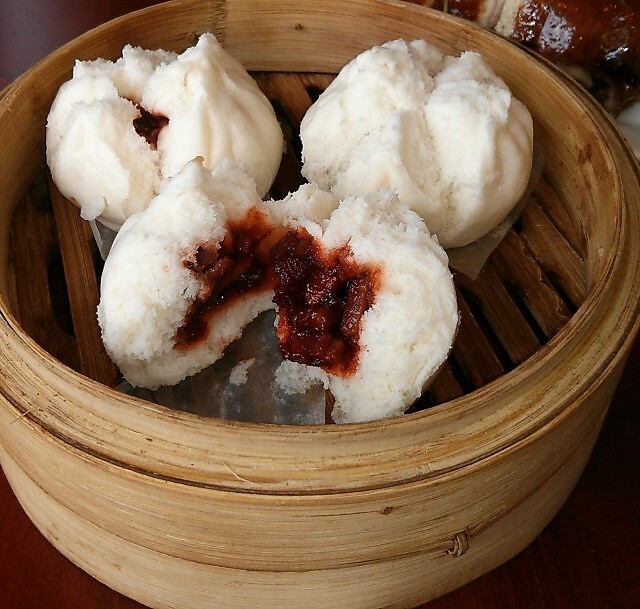 It’s worth noting that char siu bao can come in two types – steamed and baked. The steamed ones look like fluffy clouds and will be kept warm in the steam cabinet whereas the baked ones have a glossy brown flat top and look a bit like a sandwich roll! I hope you’ve enjoyed my guide to dim sum. I obviously couldn’t cover everything you’ll find on dim sum menu, but I hope it’s been helpful if you’re thinking about giving it a go for the first time and you weren’t sure where to start. London’s Chinatown was my happy place (for some bizarre reason) when I was there alone last year. Cleanest Chinatown I’ve ever seen. It’s great isn’t it 😀 I love walking through and seeing all the lanterns and the lights that they string across above the street. Easy to get lost in – which is a good thing sometimes! Did you enjoy London? I love London! I’m convinced it was my home in all my other past lives. Awh – London is great – especially at Christmas even if it does get mega busy 🙂 my sister’s just moved there so hopefully I’ll get an invite to visit soon 🙂 How does London compare to Vancouver? I’ve always wanted to go there! The weather here is similar to London, and we’ve got amazing moutain/ocean views. And lotsa dumplings! Come to Vancouver!